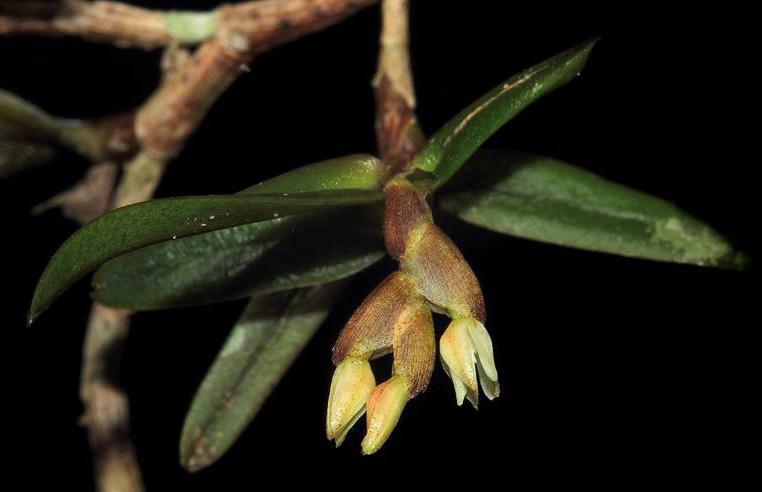 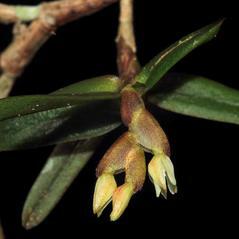 Epidendrum strobiliferum, the Cone Bearing Epidendrum, is considered the smallest and most inconspicuous of the Epidendrum species. 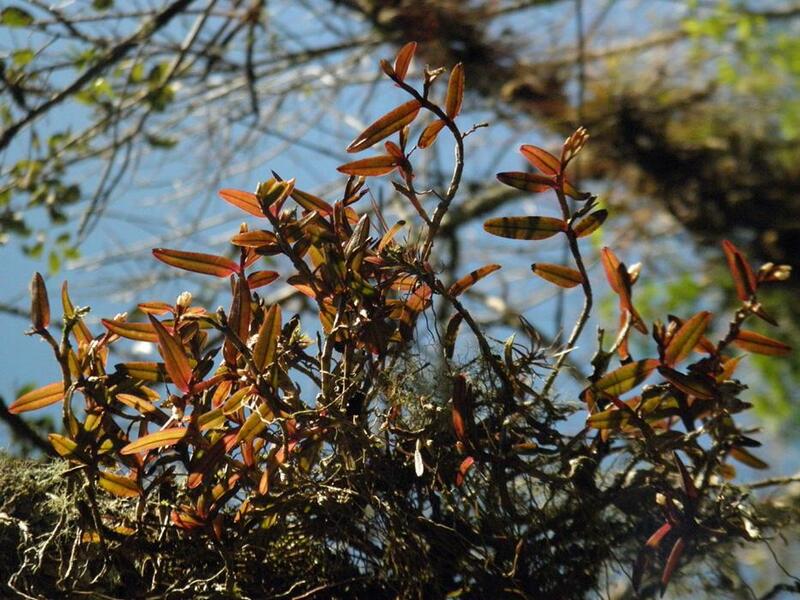 In Florida, it has only been found in the Fakahatchee Swamp and in the vicinity of Collier County but its range includes the West Indies, Mexico, Central America, and northern South America. The elliptic reddish brown, coriaceous leaves alternate on the stem. 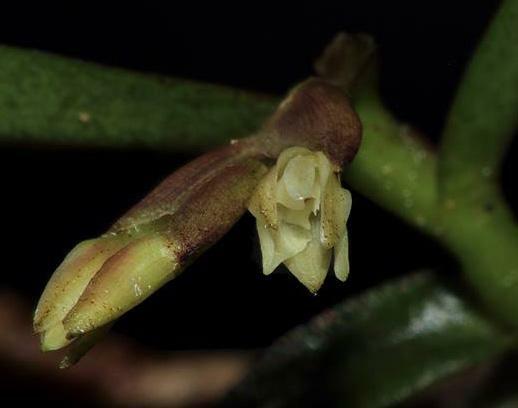 Up to 3 terminal, non-resupinate flowers are concealed by a large bract. 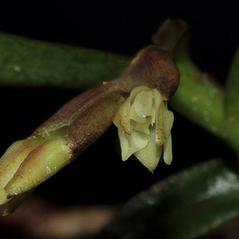 The sepals are a pale yellow color and ovate in shape and the petals are white and linear. 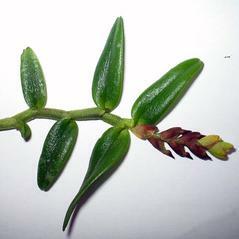 Flowering occurs between October-November. 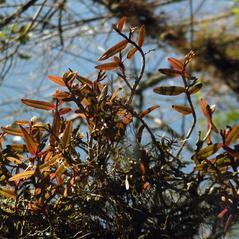 Plants grow on a wide variety of trees, including red maple, bald cypress, pop ash, and pond apple in swampy areas. 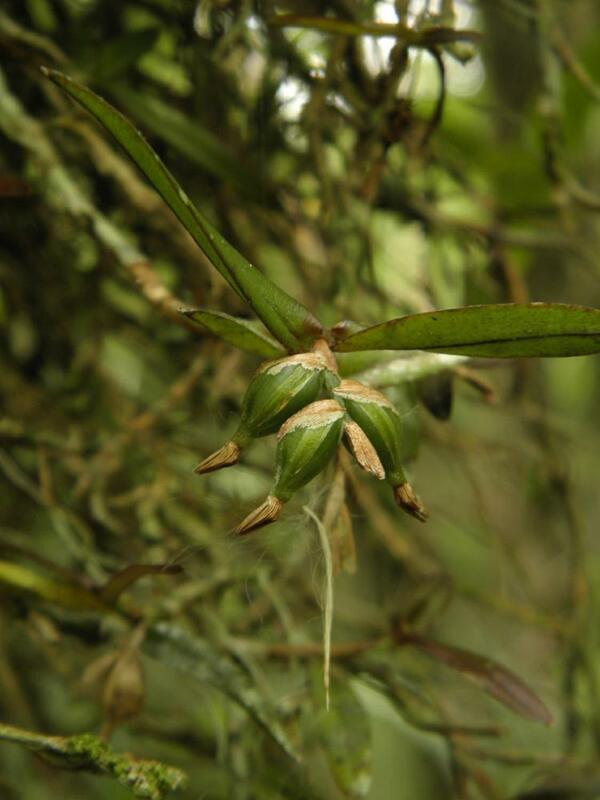 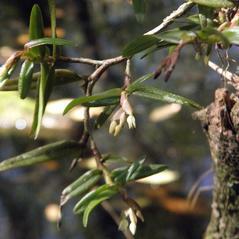 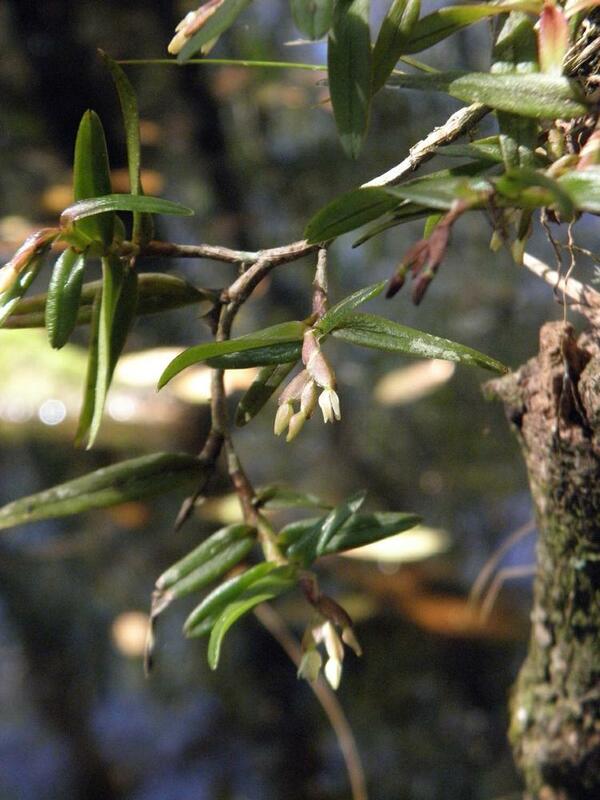 Epidendrum strobiliferum is endangered in Florida, although it is considered apparently secure across its range. 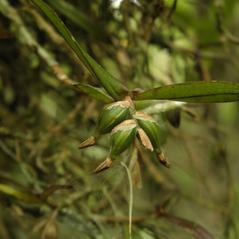 This orchid is autogamous but may also be pollinated by flies and butterflies in search of nectar.